Want to Create a Garden That You NEVER Have to Water? 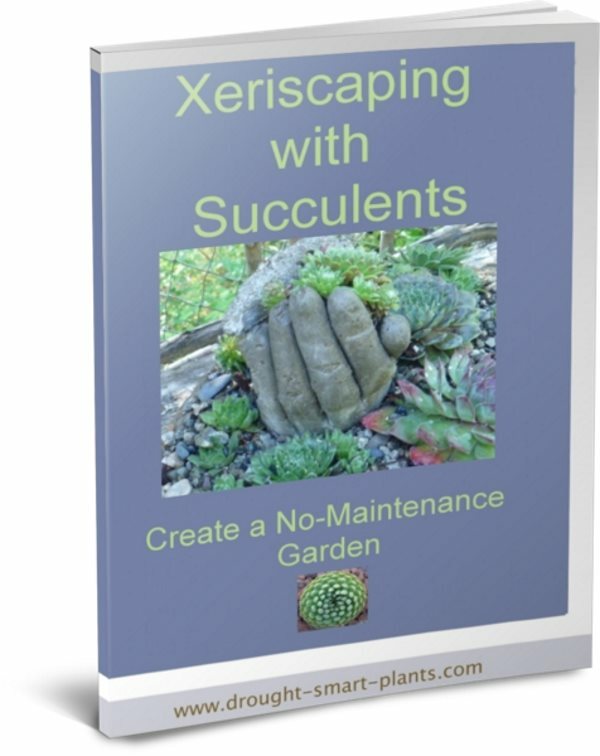 Xeriscaping With Succulents Will Show You How! Xeriscaping is taking the gardening world by storm; it's a new, unique and unusual way of thinking about gardening, and there's not a lot of information out there about it. Many people think it's a desert looking way of gardening, with a few rocks sprinkled about and maybe a few cactus plants. 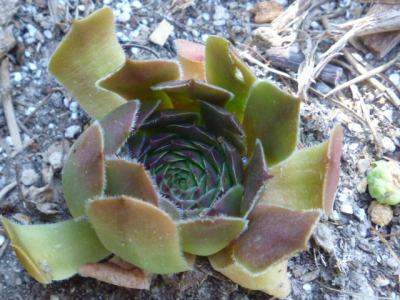 Fortunately, I've been using xeriscaping techniques in my garden for years, by necessity, but joy of joys, I discovered that it's not all drab and colorless. I figured out by a process of elimination which plants thrive in these conditions and bloom with bright flowers to attract insects such as solitary bees, butterflies and beneficial insects. Who would have guessed that my mantra, mumbled while digging up yet another plant that succumbed to drought, poor soil, benign neglect or just plain old mistreatment would be of any use. What was the mantra? "If a plant can't survive in my conditions, it doesn't deserve a place in any self respecting garden"
So, about this book; I've had lots of success, but also lots of failures in my journey towards having a beautiful and lush garden, even without water. It's a point of pride with me. If my gardens wilt and shrivel in endless dry spells, I'm nonchalant about it. When the plants look like they're going to keel over if they have one more minute of drought, so what? I know that as soon as it cools off and we get some rain, these incredible plants that I've chosen to use will plump up in no time, and go on as if nothing had happened. 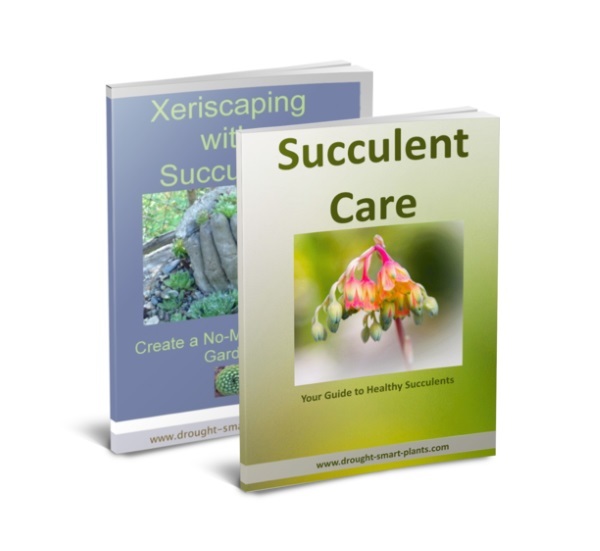 If you're ready to find out more about utilizing some of the most amazing plants in your garden, and take your garden hoses to the garbage dump (or recycle them) then this book will give you the knowledge and confidence to start. You won't need to make all the mistakes I've had to; with the help of your instant download of the Xeriscaping with Succulents E-Book, you'll find out all about starting to be more self reliant on the plants you choose, and less dependent on expensive, wasteful watering practices - and still have a gorgeous, lush garden. Start now, and you will discover how to create your very own no-maintenance landscaping. 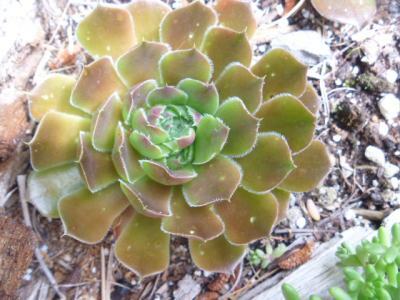 Many pictures to inspire you to choose succulents in your garden. No fluff or padding… just straight-to-the-point advice that will leave you free from the chore of watering in no time! Suggestions of plants that not only withstand drought, but cold temperatures as well. Get two digital downloads for the price of one!